Over the years I've made and blogged a lot of cakes. 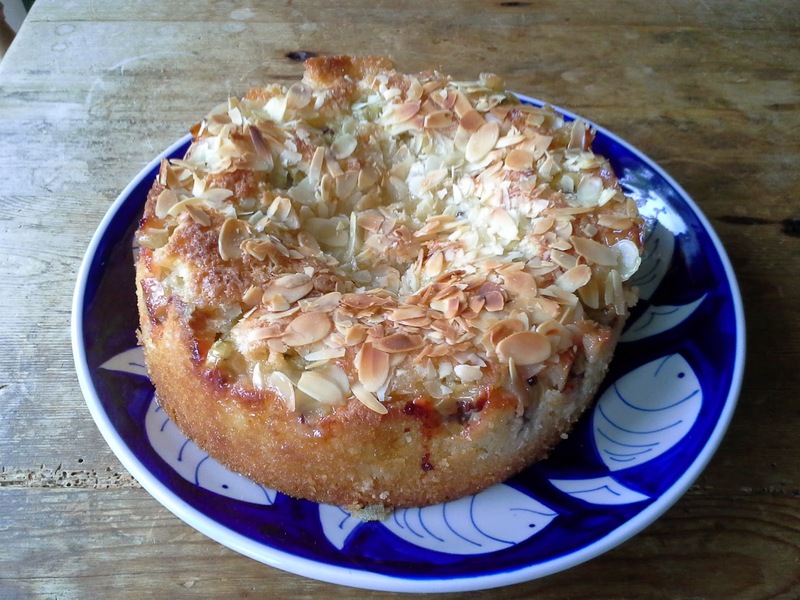 But one of my most popular viewed posts is for a Gooseberry and Almond Cake that I tore out of a Waitrose Food Magazine. Looking through the recipe books, a cake recipe for gooseberries is a little thin on the ground. So I've decided to re-blog this one with a few tweaks. Preheat the oven to 190C / Gas mark 5 or adjust for a fan oven. Beat the butter and 125g of the sugar together until pale and fluffy. Add the eggs a little at a time and blend well after each addition. If the mixture starts to curdle, add a tablespoon of the flour. Fold in the rest of the flour, the ground almonds and the baking powder. Scrape into a buttered 20cm spring-form tin. Toss the gooseberries with the remaining 75g of sugar and spread over the top of the cake. Bake for 20-25 minutes. 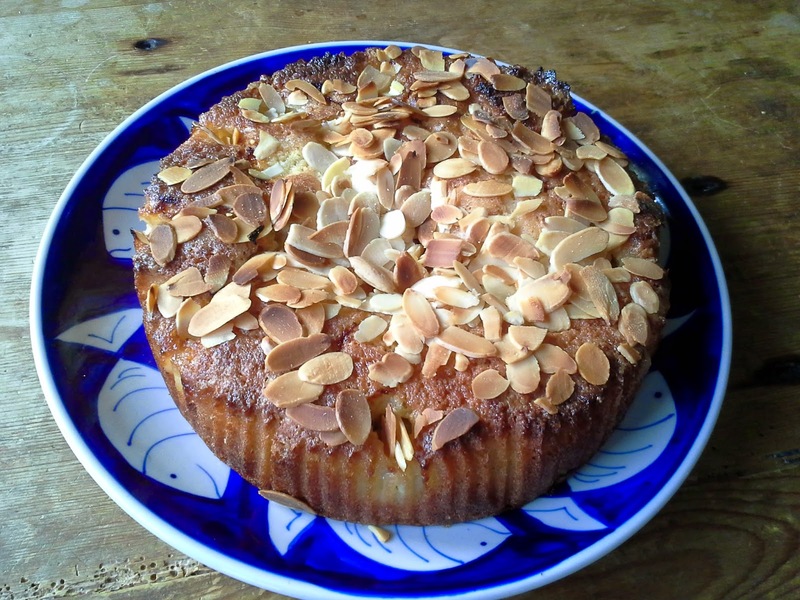 Sprinkle over the flaked almonds and return to the oven for another 10 minutes. The cake is ready when a skewer inserted into the centre comes out clean. Leave to cool in the tin. Remove the ring and base and dust with icing sugar. Then devour! The allotment is producing masses of soft fruit this year. Over 4kg of gooseberries so far and more left to harvest. When I tried the recipe again this year, I followed as above using a static oven. As you can see its a lot of gooseberries. The end result being, the cake was really moist in the centre due to so many gooseberries and sunk in the middle as it was unbaked in the centre. So I gave it another go, but this time cooking it at 190c in a fan oven for 25 minutes to start, then 10 minutes with the flaked almonds. If it looks like it is browning too much, cover with baking parchment. 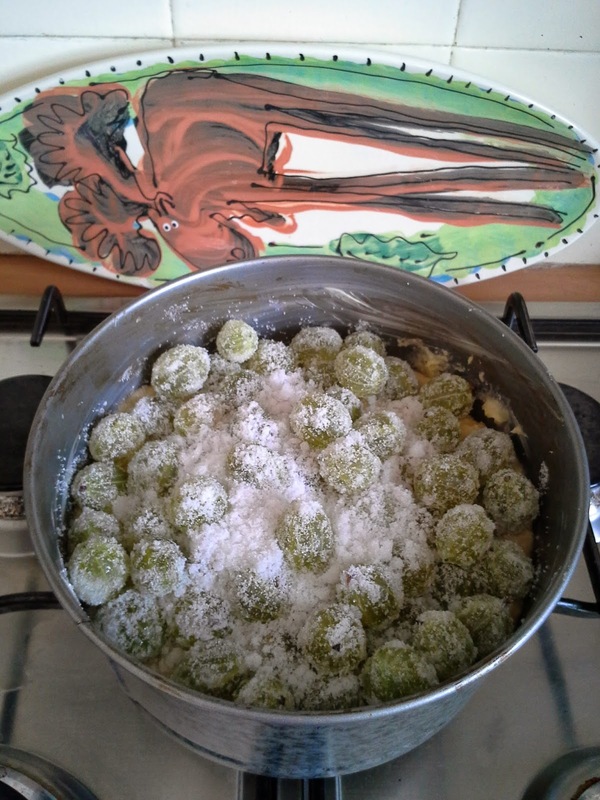 I also reduced the amount of gooseberries to 250g and tossed them in 50g of castor sugar, rather than 75g. The result is a little darker in colour, but cooked in the centre and delicious! 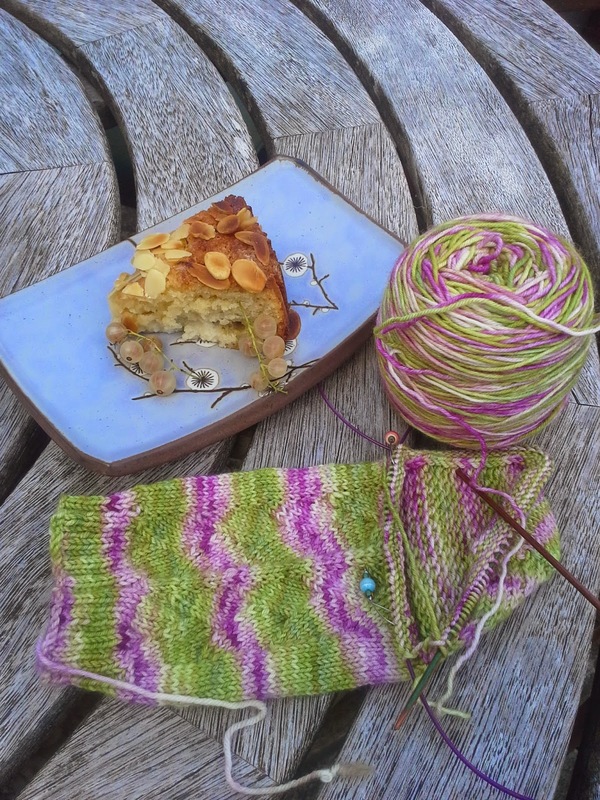 Perfect with a cup of tea or for munching whilst knitting 'My Cup of Tea' socks, my new pair for the Flora KAL over on the UK Sock Knitters group on Ravelry. 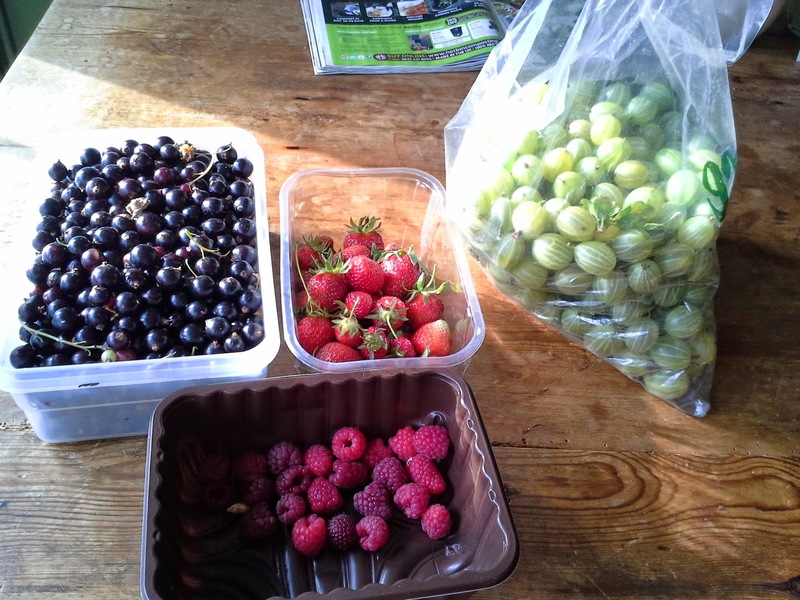 If you have glut of gooseberries, give it a go. Just don't be afraid to keep cooking it if its got a soggy middle!